Tour Of Cape Town One of South Africa’s three capital cities, Cape Town is a cultural melting pot with a diverse population and a rich history. Travelers to the coastal city can make the most of its stunning natural setting—the omnipresent peak of Table Mountain is the biggest draw, while Cape Peninsula to the south offers miles of white sand beaches, ocean views, and surf-worthy waves. Tour Of Cape Town’s many attractions are spread out over a large area, and guided tours with seamless transportation help visitors see multiple sights in one day. For those with more time to spend in the area, day trips take in the nearby Cape Winelands or Robben Island, and multi-day tours set out along the famous Garden Route. The view from the 3,563-foot (1,086-meter) peak of Table Mountain—looking out over Cape Town, Table Bay, and the Cape Peninsula below—is as iconic as the mountain itself. Adventurous travelers can climb the peak on foot, but most opt to take the cable car, a scenic 5-minute ride. Queues at one of Cape Town’s must-see sights can be over an hour at peak times, so skip-the-line tickets are a big plus, and many tours include hotel pickup and round-trip transfers too. This private tour saves time and offers flexibility—skip-the-line tickets for the Table Mountain cable car are included, and private transfers let travelers explore at their own pace. 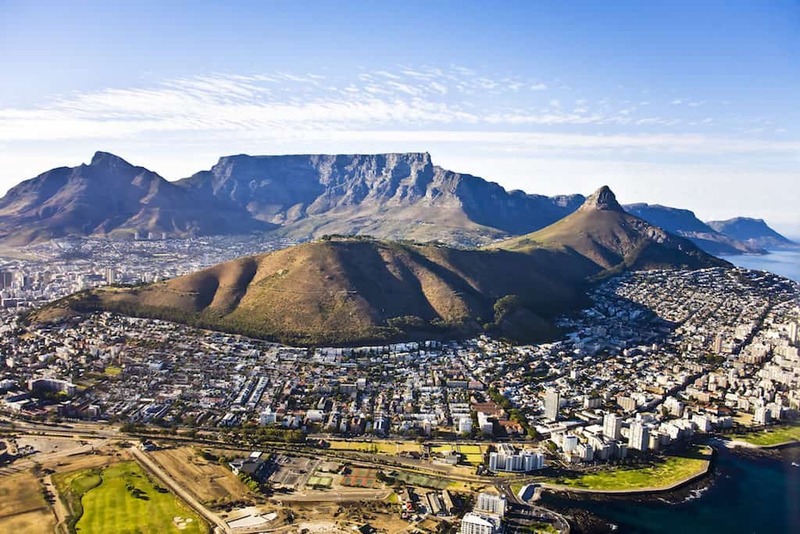 This tour combines a visit to Table Mountain with a minibus tour of Cape Town highlights such as the Malay Quarter, Diamond Works, and Castle of Good Hope. Travelers on this tour take in spectacular views from all angles—they hike to the top of Table Mountain, ride the cable car back down, and visit Kirstenbosch National Botanical Gardens. Ideal for adventurous travelers, this mountain bike tour includes thrilling downhill descents, off-road trails, and views of Table Mountain while exploring Table Mountain National Park. Read more about Table Mountain tour options here. Summer (December through February) is high season and when temperatures are at their hottest. Visiting in spring and autumn is ideal, with fewer crowds and more favorable rates. Whale watching season along the coast in July to September. The best way to get around Cape Town is via car, and it’s recommended to either hire a rental or join guided tours. Metered taxis are available, but there are no taxi stands so it’s advisable to keep the number of reliable taxi service at hand. Uber is also an option. Traveler planning on a multi-day Garden Route tour or a visit to the Klein Karoo should pack warm layers as temperatures drop dramatically at night. Most travelers make a beeline for the V&A Waterfront, but locals head to the Woodstock neighborhood, full of hip cafes, shops, and restaurants. Visit on Saturday, when the Old Biscuit Mill hosts one of Cape Town’s coolest markets, or take a food-focused tour to learn more about the city’s so-called rainbow cuisine.